A stunning pair of 14K gold earrings. 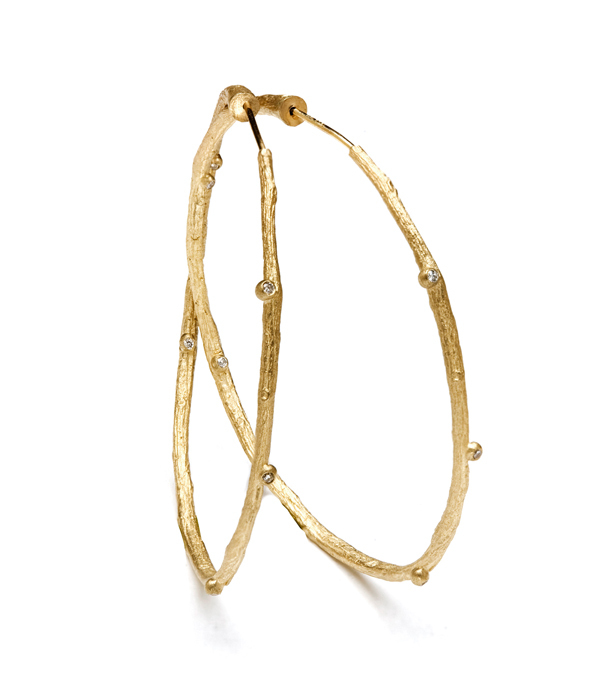 Our endless large branch-texture hoop earrings with diamond pod accents (0.10 cttw) epitomize the bohemian chic look. Hoops measure approximately 2″ in diameter. A wonderful gift for the gal who enjoys alternative jewelry that is inspired by and celebrating the beauty of nature.